In the days before mechanisation in the mines, all mining was worked by contract. 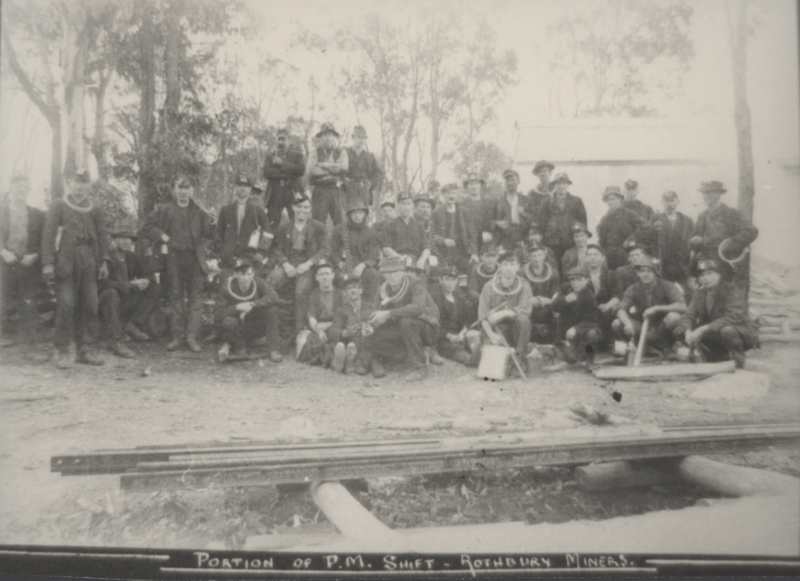 The miners worked in pairs - often it was too good mates, two brothers, or two good miners who were paired off. When they filled a skip, it was their particular token number which was attached, so when weighed, it would be credited to them. Tokens were of two kinds - often leather for one day and possibly brass or galvanised iron for the next day. The miner's number was punched into the token using number punches. Before filling a skip a token was attached to it. At the end of the skip, near the top, two holes were provided. The token was fitted with a length of doubled "marlin rope" - a tarry bituminous type of cord. The doubled end was passed from the outside of the skip through the first hole, and was returned to the outside by means of passing the cord through the second hole. The token was then passed through the loop of the doubled end. When the filled skip reached the pit top at the weigh cabin, the weighman inside the cabin read off the weight of the coal as shown on the dial of the scales. The token boy outside the cabin then yelled out the token number, so that the miners who filled it were credited with the coal, and the token was removed from the skip and hung up to be used again. for water money, would credit it in his note book with the token number, thus eventually payment would be made in the pay envelope.